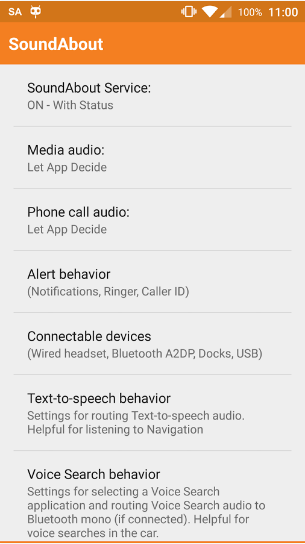 SoundAbout Apk is an audio routing android application which can be used used to route your device audio with Built-In speaker, Wired Headphones, Wired Headset, Different types of Bluetooth etc. It is an all in one app which can be used for multiple purposes. SoundAabout includes different amazing feature, it’s main concern is with your phone audio option. Features include routing, text to speech, caller name, voice search, alert behavior and much more. SoundAbout is commonly used for routing purposes. It includes the highest number of compatible devices for routing and highest number of routing options among all routing apps. It can be used for both media and call routing purposes with Built-In speaker, Wired Headphones, Wired Headset (with mic), Earpiece, Aux Digital(HDMI), Bluetooth(A2DP), Bluetooth(mono), Bluetooth(mono)(dynamic), Dock (Analog) and many other devices. 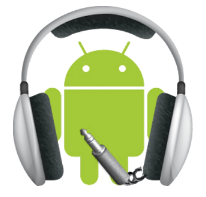 SoundAbout Pro Apk is another version of this app which includes the license key for unlocking the premium features. This app cannot be used as a standalone app, it’s only a key for the main SoundAbout Apk to unlock pro features. You can also create your own sounds and tracks with Songsterr Apk or FL Studio Mobile Apk and route them to speaker with SoundAbout in events, parties etc. Caller Name: SounAbout includes an option with which caller ID/name is announce on income coming calls, This saves your time and you don’t have to look for your device on every call or SMS. Text To Speech: With text to speech option you can convert any document into an audio. 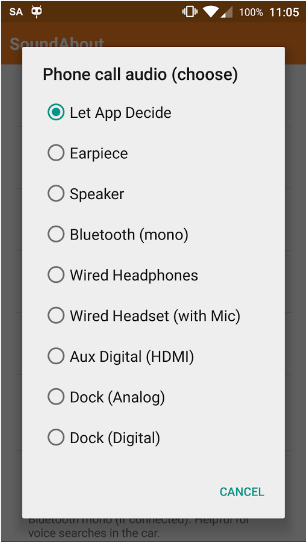 With this option, you can convert any number of words to speech and can route this audio on SoundAbout compatible outputs. Voice Search: Voice Search option includes browsing through voice, searching for file, message or call through voice etc. 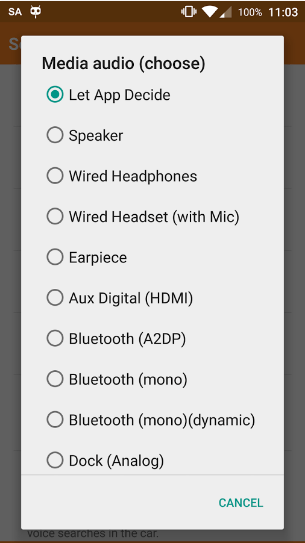 Note: Some of these devices are compatible only with SoundAbout Pro Apk. Get You device reboot automatically after installation. Licensing problems have been fixed.